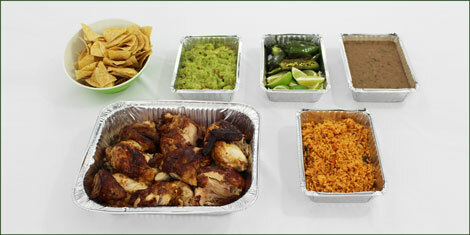 Benny’s Tacos and Rotisserie Chicken is proud to offer professional Mexican catering services. Hire us for any event such as parties, showers, lunch meetings or corporate functions. Our delicious homemade food can be enjoyed at your home, office, or any location within our large catering range. Hire Benny’s Tacos to give your guests the delicious, fresh taste of authentic Mexican dishes, rotisserie chicken, handmade tortillas, homemade salsas and more! We know feeding multiple people can be a grueling process, writing down everyone’s order and keeping track of everything. That’s why we’ve created a catering menu to make it even easier for your order. Our platters come with enough fresh food to feed at least 15 people. 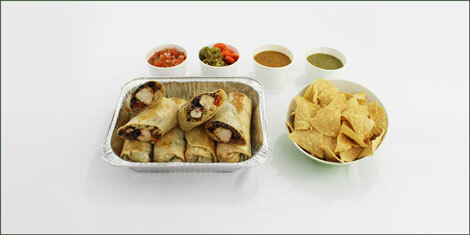 Our Mexican food will satisfy everyone’s taste buds. 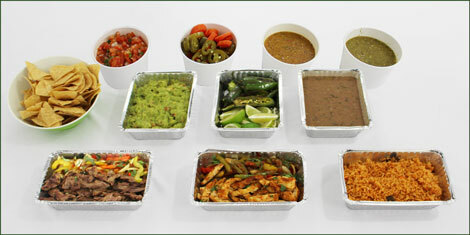 Of course set-up is included in our Mexican catering services so don’t worry. Just give us 24 hours notice and we will have all the food you could ever want delivered right to you. The only work you have to do is dialing our number. Why choose a stuffy catering company when you can choose us? We’re friendly, helpful, and always courteous. At Benny’s Tacos no matter the size of the order, you can rest assured knowing that each of our dishes are made with only the freshest of ingredients. If it is feeding a family of 4 or a company of 400, Benny’s Tacos always makes sure there is a smile on everyone’s face while enjoying our signature dishes. 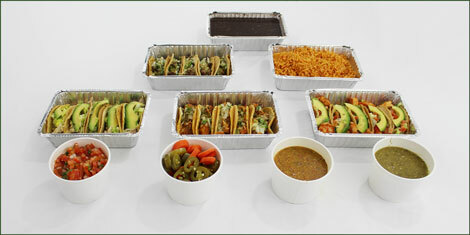 Catering Mexican food for your next event is a great choice, just look at some of our previous customers who have enjoyed our delicious Mexican catering services! for convenient catering and delivery! Note: Utensils Only Available When Requested. Included: Plates, serving spoons and menus. Help Us Protect Our Environment. Utensils Will Only Be Provided Upon Request.